This week, we’re sharing another map that can help you make the case for cross-sector collaboration. We know that just a few miles can shorten life expectancy by decades but does it impact other factors, too? 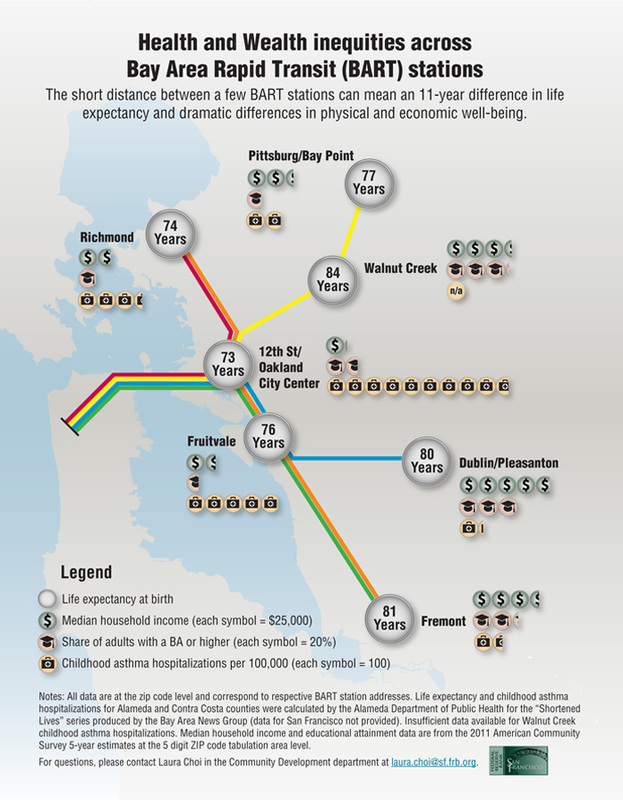 Inspired by the VCU Center on Health and Society’s map series, our colleagues at the Federal Reserve Bank of San Francisco created this map showing income and health disparities in the San Francisco Bay Area. And the findings are astounding. A few miles between BART stations can mean shorter life expectancies but also lower rates of educational attainment, and higher rates of childhood asthma hospitalizations. Why We Like It: It’s a clear picture of how ZIP code affects one’s opportunities to maintain overall health and well-being. This is even more reason to pursue solutions that address linked factors—education, jobs, housing, and health—to improve the lives of people living in low-income neighborhoods. Where You Can Find It: You can find this map in the Federal Reserve Bank of San Francisco’s Community Development Blog Series. Peruse FedCommunities.org for other relevant data, research, and multimedia on the intersection of community development and health. What Maps Click For You? What maps helped you understand the relationship between neighborhoods and health? Share your own @BHPNetwork #mapsthatclick. 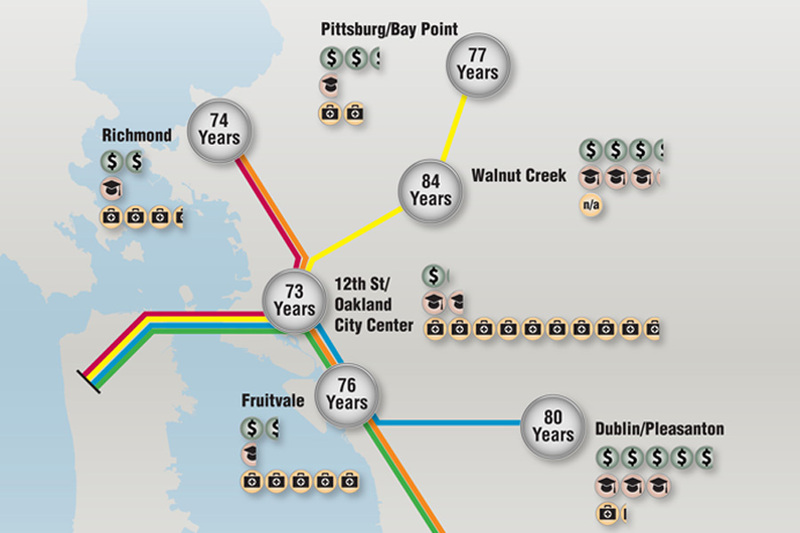 This map was prepared by the Federal Reserve Bank of San Francisco’s Community Development Department.